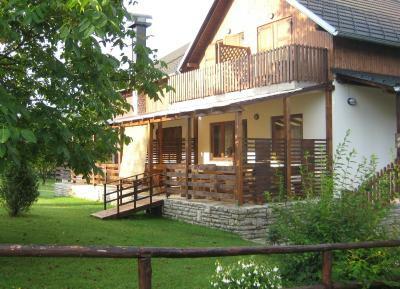 Lock in a great price for B&B Villa Plitvica – rated 8.6 by recent guests! Great location, off the beaten track and hard to find, but worth the effort. Fabulous host. Fair restaurants very close by. Location was superb! Just a little walk to the park entrance. When we arrived we put our running shoes on and ran around the big waterfalls. As it was later in the afternoon and in September, there were not so many tourists around. I would not recommend doing it during the high peak in July or August. 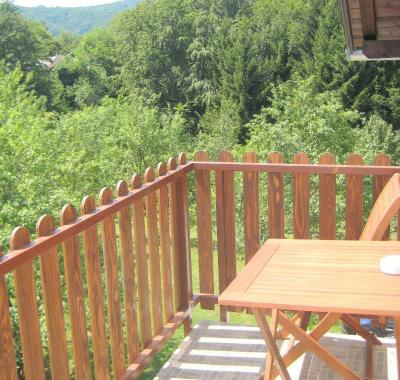 We also loved the balcony where we could chill after our run and hike and the very peaceful and quiet surroundings. Great location to take the boat to visit the upper lakes, great restaurant nearby, staff very helpful and they bought the park tickets for you. The property manager was very accommodating and knowledgeable. Wonderful host, very friendly and helpful. They purchased the park tickets for us early the next day--so helpful! The location was terrific--just walked to the park, and there was a lovely restaurant just a 2 minute walk away. 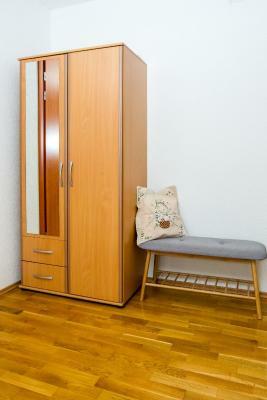 Location convenient to walk to park. Ethno Restaurant across the parking lot was outstanding. Bratislav was terrific, giving good advice for the day and helpful with the luggage. Location was perfect, just outside the National Park. Restaurant near by (off property, but only a short walk). Quite. 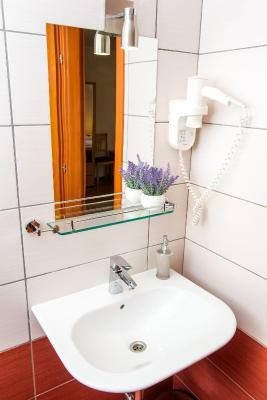 Location (easy and pleasant access to the hikes and the National Park entrance, but away from tourist groups, big buses and hotels), a terrace, kind owners/staff, cleanliness, nice materials (wood, tiles), proximity of a good restaurant run by the nearby Eco Village. 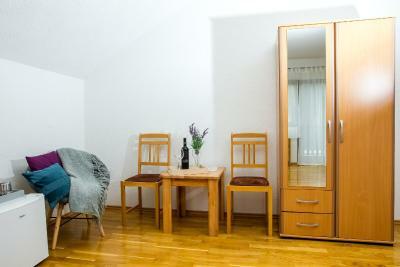 Very clean rooms, and with only a 10 minute walk to Plitvice Lakes, it was perfect! 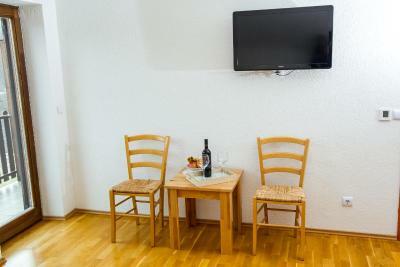 It was very well positioned for the National Park, clean and the hotel staff spoke good English and were helpful. 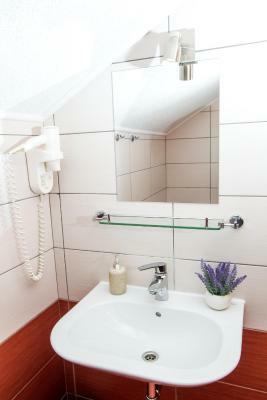 B&B Villa Plitvica This rating is a reflection of how the property compares to the industry standard when it comes to price, facilities and services available. It's based on a self-evaluation by the property. Use this rating to help choose your stay! 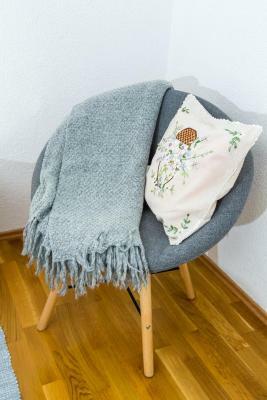 Located in the heart of UNESCO-protected National Park Plitvička Jezera, about 1,300 feet from the highest waterfall and 1,000 feet from the entrance, B&B Villa Plitvica features air-conditioned rooms with balconies overlooking the surrounding nature. 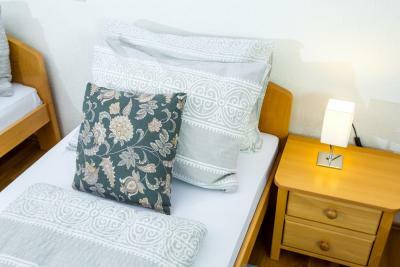 All rooms come with a wardrobe and parquet floors, as well as a private bathroom with a shower and toilet. 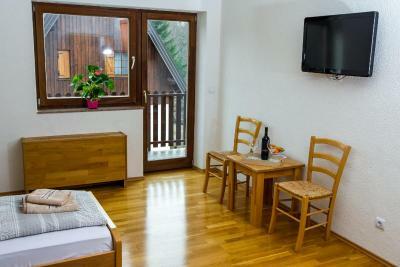 Rooms are brightly furnished while the balconies offer views of the mountains and the greenery. 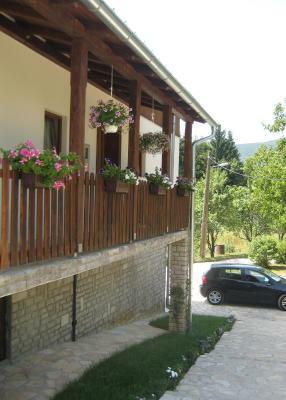 The property is just off State Road 1 in a quiet Plitvica Selo Village. Restaurants and souvenir shops are part of the National Park, all within walking distance. 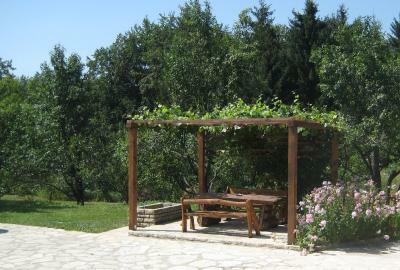 Guests can enjoy walks in the surrounding forests, which are full of hiking trails. They also provide a stream with drinking water and abundant wildlife, fish and crabs. Free private parking is available. 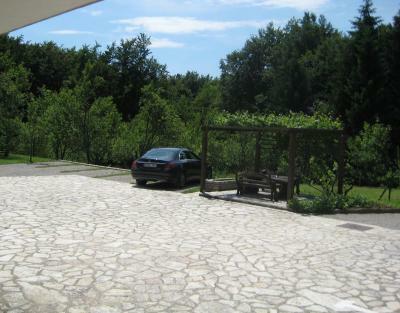 A1 Motorway offering links to Zagreb and Western Europe can be accessed 34 mi from B&B Villa Plitvica. 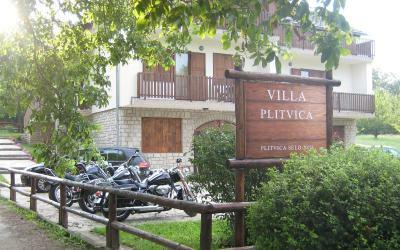 When would you like to stay at B&B Villa Plitvica? 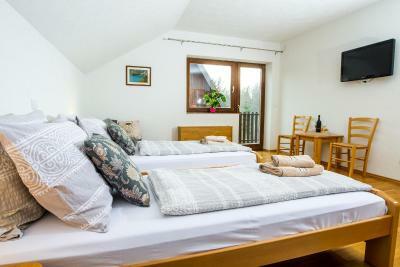 This twin room features a seating area, patio and air conditioning. 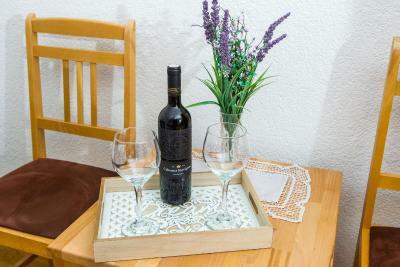 House Rules B&B Villa Plitvica takes special requests – add in the next step! For the entire 3 days I was there I didn't have hot water and it was absolutely freezing cold up there in the mountains. Also when one walks for 6 hours one wants a lovely warm shower at the end. When I complained the lady staff member was very sweet about it but the man made some annoying comment about everyone showering at the same time (21.30 at night - Yeh sure?) and that I needed to wait for approximately an hour for the water to warm up. That was day one. It was vaguely warm on day 2 and 3 too. How long does one need to wait? Also, I felt a bit taken advantage of in the restaurants. Although this isn't the fault of the accommodation. They do things like offer bread and then charge you an exorbitant amount on the bill. If you're going to be charged they need to tell you upfront - just like everything else on a menu. In the second restaurant there didnt seem to be a menu. I sat down and the lovely friendly host said, "would you like some..." and plates of food arrive. Things arent upfront. There seems to be a sense that tourists are just endless sources of money. The people who were with me agreed. We like a menu or a board with the meal written down and the price like everywhere else in the world. I liked the location. It made the entrance to Plitvice lake's very easy. The staff organised tickets for me so that made it even easier. I could basically wake up and walk around the corner and start walking without any fuss or queues. Also, there were 2 restaurants on the property so you didn't even have to get into a car. 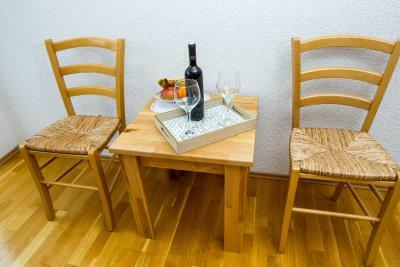 Although I do feel there was an element of advantage taking with the restaurants - which I will mention in my criticism. It did make things easier having them on the property but I wish I had been wiser. Very friendly hosts, very supportive in every respect. 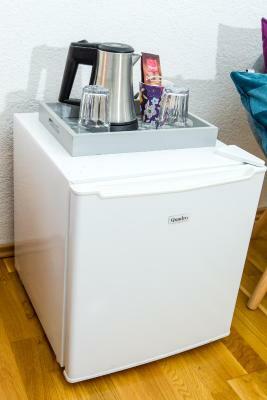 That there was no tea and coffee making facilities. That there was no water provided and there were no local shops. Hard pillows. They could be softer or the hotel could offer a choice. A very nice place to stay and a very, very nice staff. It is strategically located so that the park can be visited from there with a minimum of walking uphill. However it is very difficult to find. Don't try driving there after dark as we did. The location was close to the entrance, you can walk there in less than 10 minutes. The staff were so helpful in guiding us around the National Park and arranging and collecting our entrance tickets for us. The continental breakfast was lovely, the views were amazing and it was very peaceful. Theroom was lovely and had a spacious balcony, with table and chairs so you can enjoy the views. There is free parking on site, so you can leave your car there and go exploring all day. They provide you with vital information and a map to the park. We will definitely be returning, a great place to stay. The stuff very kind and helpful. Nothing. Met our needs perfectly. Ideally placed for easy access to the Plitvice Park and the friendly receptionist gave excellent advice on doing a 3hr walking tour to see the essential sights (the Park is so nice, it's worth buying a ticket to help preserve it, even if you're only there for a few hours). 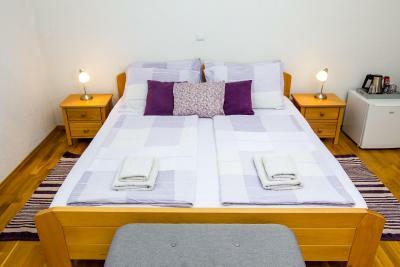 Plenty of parking and clean rooms with a very relaxed feel. Breakfast was lovely and I especially enjoyed the bread on offer. Bring a shampoo and a soap with you just in case, as we got only two tiny packets of shampoo for two nights. No luggage tray. No safe. Poor shower. No credit cards. Close to Plitice National Park. 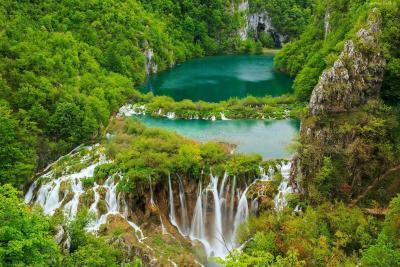 Amazing stay in Plitvice! The host helped us with our bags, arranged a taxi pick up, was very friendly and informative. Super great location with the main waterfalls just 10mins on foot!